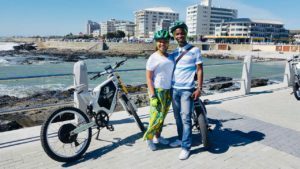 The amount of places to explore in the mother city is mind blowing. If you are an experienced rider or simply want a chilled outing, this is just for you. This ride is one for the books. Cape Point Nature Reserve lies 60km (37 mi) south-west of Cape Town and structures some portion of the Table Mountain National Park. 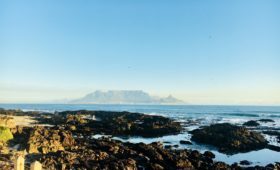 In addition, flaunting close to 18,000 sections of land (7,284 hectares) of indigenous fynbos, climbing trails, soak precipices and unblemished shorelines, the nature hold is an epic place for a cycle. The West Coast offers a beautiful landscape of fauna and flora. Situated near Langebaan, the lagoon is one of the top spots to view. Cycle in the park for 30km and enjoy the fauna and flora. People travel far and wide to see our wild flowers come to life in September. WCNP mostly contains strandveld vegetation; with the expansion of the park it also included the Hopefield sand plain fynbos. Stop for lunch at Geelbek in the reserve for some fun music, hearty food and amazing company. We highly recommend this ride. The Sea Point Promenade is a scenic beachfront route and a popular city spot for walkers, runners and cyclists. The route is mostly paved and completely flat, and at just seven kilometres (four miles), it’s suitable for all levels of fitness. Ride from Greenpoint stadium or start your day off with a breakfast at Jason Bakery. The pathway runs along the coastline, passing bustling play parks, fascinating public art, and other recreational activities. You can meander from this point up until maidens cove in Camps Bay. We tend to go for the sunset picnics around 6:00 pm and ride through the promenade, overlooking the beachfront. The views will amaze you, day or night. The Cape has stunning wine estates to choose from. There are amazing recommended places to go, but as for cycling, we give you some of our best choices. Some of the best wine estates are in surrounding areas based in Stellenbosch, Franschhoek and Paarl. 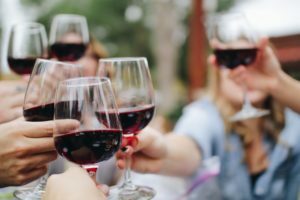 Wine tasting after a cycle sounds like a good idea, especially when there is a vast amount of artisans and vineyard history that the estate has to offer. 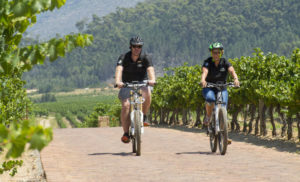 The Spice Route Destination is a family friendly wine farm that encompasses magnificent views and an incredible cycle path that ranges from easy to difficult through the landscape of Paarl. Get active with mountain trails ranging from a basic 2.5km to more active 35km trails. 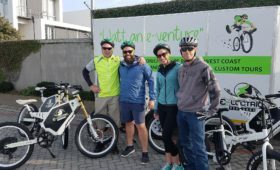 home made biltong, nougat and beer tasting to tickle your tastebuds, while cycling down the hero adventure trails of the terrain, you can be sure this is a good place to be with friends and family. Head north towards the bustling university town. This is the second oldest town in South Africa, and the architecture reflects that. You can ride through the old town through the tree lined avenues that is aptly nicknamed the Eikestad (Oak Town). Feeling quite at home, as it’s a town of cyclists, you can find a place to stop and walk around a little. 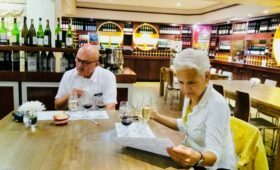 Experience Waterford and their infamous chocolate and wine pairing, while at Ruste en vrede, you will experience the variety of wine tasting available and have a stop over for lunch once you have gotten through some cycling. Every year during summer, thousands of cyclists hit the road for the Stellenbosch Cycle Tour, a 97 km (60 mi) race that takes cyclists along some of the most scenic roads where lush vineyards and mountains serve as a backdrop. The Helshoogte Road route is just under 5km (3 mi) long with a steep 71m (234 ft) climb, but the view from the top is rewarding and the descent is easy. Near the top of the pass you can stop by at Tokara Wine and Olive Farm for a scrumptious breakfast or lunch at the delicatessen. One of our lunch stops when we guide your tours is this magnificent little place. La Petite Dauphine it is all about the scenery, luxurious comfort and absolute convenience. La Petite Dauphine is a historical working fruit & wine farm with superior accommodation. Situated just two kilometers from the village of Franschhoek “The Gourmet Capital of South Africa” it is in the heart of the Cape Winelands and a playground for diverse interests. Stop for a lunch at Cafe BonBon where you can dine in a 200 year old celler and experience delicious food.